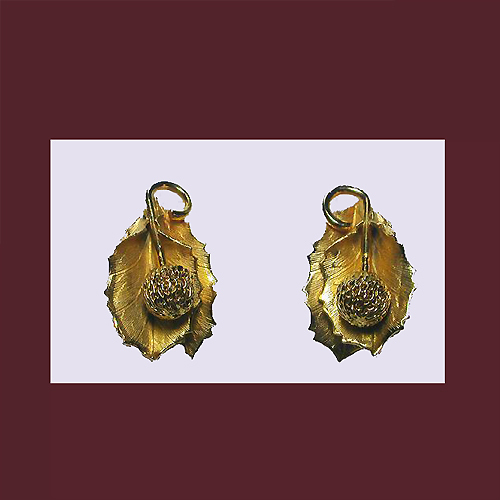 A very pretty pair of clip brushed gold earrings with what looks like an acorn in the center of each one. They measure about 1' in length and about 3/4" across. A lovely accessory to wear in the fall, or anytime at all!